Posting an Easter cake on, or before, Easter would have been the thing to do. Obviously I failed. However, this cake is so easy to make and is so good, that one should not wait until next Easter to make it. Make an April 12th Strawberry cake. Or, if someone you know if having a birthday soon, such as my brother, make this for their birthday cake. 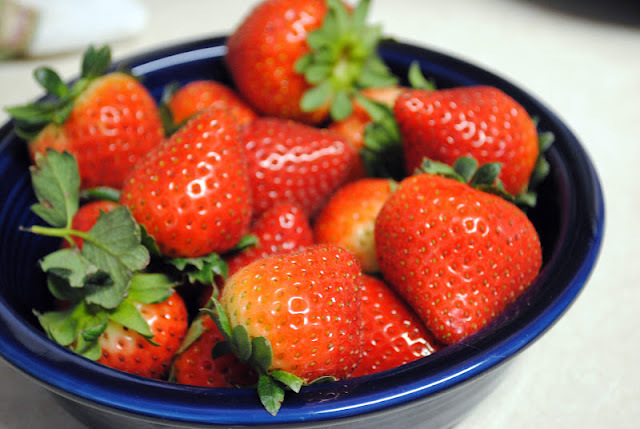 But, only if they like strawberry cake. I guess if you are a chocolate freak such as my son, this cake might be a little bit disappointing on your birthday. 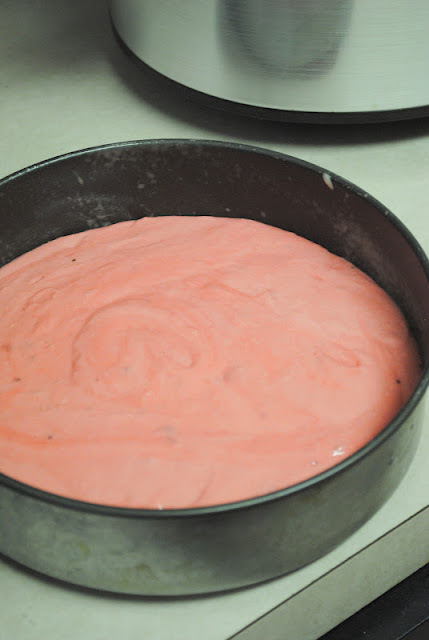 To make this SUPER easy cake, you toss all the ingredients in a mixer. 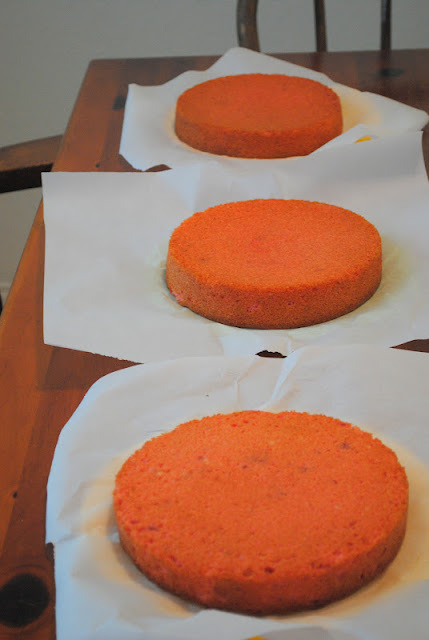 And divide into three pans. The recipe calls for 9 inch pans. I used 8 inch and all still seemed right in the world. I let mine cool on the table a while and then put them in the refrigerator over night. 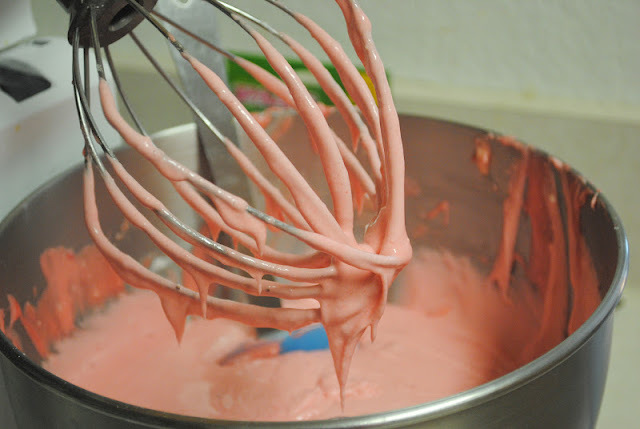 The following day I made the icing (no pictures, I forgot! ), which is also super easy. 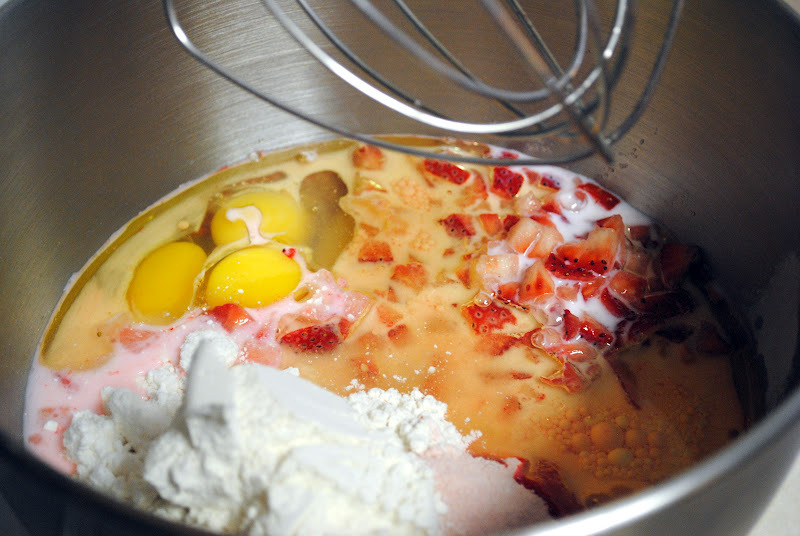 Again, toss all the ingredients into the mixer. Then just layer your cake. My Dad said the cake was not good at all....and went back for seconds. I totally forgot to take a picture of the cake before taking it over to my Dad's house, so a picture from my phone is all I have of the completed cake! 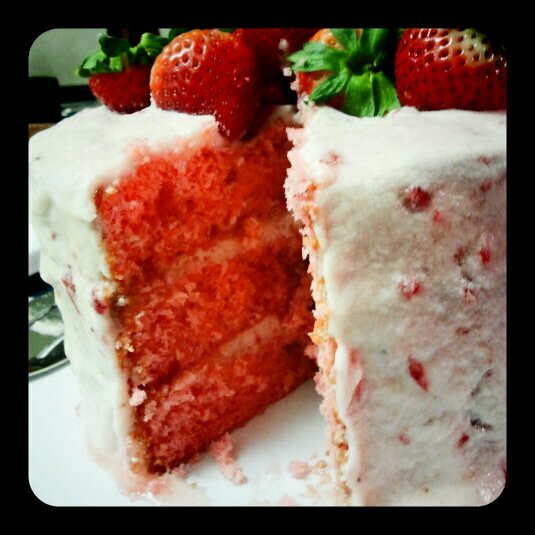 You get the point....strawberry galore and yummm!